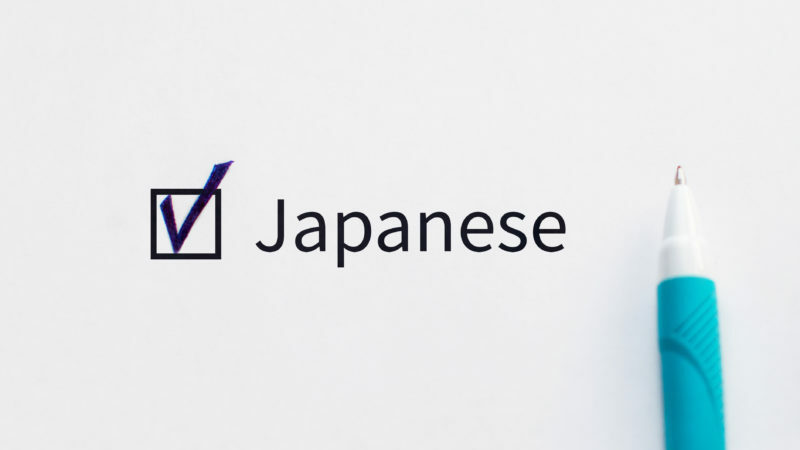 The Japanese language is an incredibly complex one with many differences to the English many people speak as they are looking to learn one of the oldest and most interesting languages on the planet. For those who are looking to learn the Japanese language in high school or through language learning apps, frustration can quickly grow if progress is slow. Firstly, one should not become frustrated as the ability to learn is different in every person and a group class can only move as fast as its beginning learners. The question often asked is can you learn Japanese in a year with total immersion? The first issue to face when looking to learn a new language such as Japanese is it will take time. An English speaker looking to learn a language in the North Germanic tradition, such as German and Dutch will be able to spot a few patterns and similarities with their own language. Making the choice to learn Japanese means an individual will be forced to retrain their brain completely to discover a new way of speaking and making sounds. Not only will the sounds to be made be different, the way the mouth and muscles of the jaw move will also be foreign to the student. Expecting to leap into a new language outside the realms of knowledge of a student is folly on many different levels as the ability to learn a new language is different in each person and cannot be measured against the learning abilities of others. The problem many people face when they are looking to learn Japanese fast is thinking of sitting in a classroom a couple of times a week for an hour will make them fluent. Most high school language classes are designed to give students a basic knowledge of Japanese or any other dialect being offered. High school classes are often designed to provide students with a simple way of understanding conversational aspects of a language, such as Japanese. One must also question how much learning is actually taking place if a high school student is spending around two hours per week learning Japanese in a group environment? Firstly, are all the students in the classroom setting as serious about the subject as the dedicated learner? The chances are some of the students in a class will regret their decision to learn Japanese and limit the learning potential of the entire class by not working as hard as others. Secondly, a student is at the mercy of the teacher they are learning from and the standard of their abilities in Japanese. A Japanese teacher may have a solid command of formal aspects of the language but they have a limited understanding of conversational techniques needed for everyday language use in Tokyo. Answering the question can you learn Japanese in a year is a difficult one because of the amount of time and money needed to immerse oneself in the language when not living and working in Japan. For example, a student wishing to become fluent in Japanese in a year or less would need to spend the majority of their waking day speaking and learning the language in a secure environment. The expense of learning Japanese in this way would be large and usually requires a mentor or native-speaking person who would be willing to spend a large amount of time interacting with the student about their learning opportunities. A second problem for a person attempting to learn Japanese in a year from their home outside Japan would be the possibility of burnout after a short period of time. One cannot surround oneself with the Japanese language if not living and working in the environment full-time. If a student is looking to immerse in the Japanese language and culture there are some obvious ways of doing so without the expense of traveling to Japan for a prolonged period of time. Many students spend a large amount of their time exploring the options available in Japanese cultures such as TV shows, movies, and music. Streaming services have made it easier than ever to establish a link to the mainstream popular culture of Japan with decisions needing to be made about which TV and movie productions to spend the most time exploring. Although manga and anime are popular genres around the world, they are over-dramatized and often do not offer a realistic view of life and language use in the nation of Japan. Various TV shows and movies provide a more realistic view of life and allow the everyday speech patterns of individuals to be explored. Many anecdotal stories show the best way a student met their goal of becoming fluent in Japanese in a short period of time has been to move to Tokyo or another Japanese city. The immersion technique has been controversial, but the fact is many people have reported they made great leaps forward in their learning objectives when they made the decision to immerse themselves in the language and culture of Japan. Some have stated they moved to Tokyo for a year and could hold a conversation with a Japanese person by the end of their time in the city as they had little choice but to learn the language. This is not as easy in the 21st-century due to the high number of street signs in metropolitan areas created in English to aid tourists passing through cities for a short period of time.